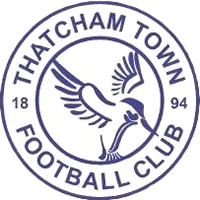 Thatcham Town were founded in 1894 as Thatcham and spent their first two years playing friendlies, before joining the Reading & District League in 1896. The club remained in this league for the next 57 years, winning Division 2 in 1906. In 1953, the club became a founding member of the Hellenic League and yo-yoed between its Premier Division and Division 1 for the next 20 years, earning promotion to the Premier Division in 1959, 1965 and 1973. In 1974, the club added the Town suffix to its name and this was followed by the club winning the Premier Division title in 1975. However, relegation to Division 1 followed three years later, and the club stayed at this level until 1982, when they moved to the Athenian League. They finished in the bottom five in both seasons in this league and, in 1984, the club swapped to the London Spartan League, before then moving to the newly-formed Wessex League in 1986. 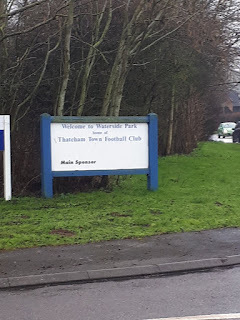 Thatcham spent the next two decades in the Wessex League, winning it in 1996, finishing runners-up in 1999 and 2006, and also finishing third on several occasions. 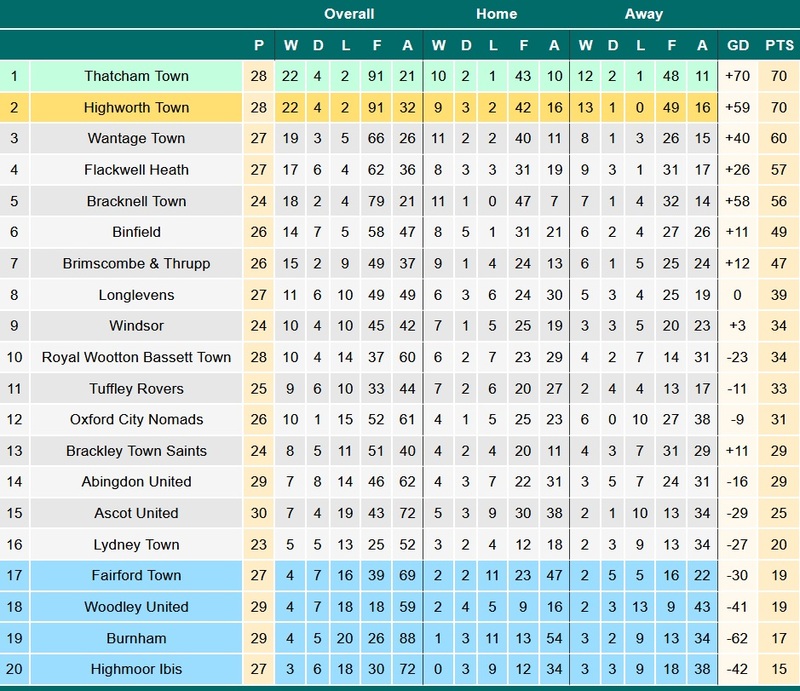 This runners-up finish saw the club earn promotion to the Southern League Division 1 South & West. The club spent six seasons in this league - and generally had good finishes - before being transferred to Division 1 Central for the 2012/13 season. 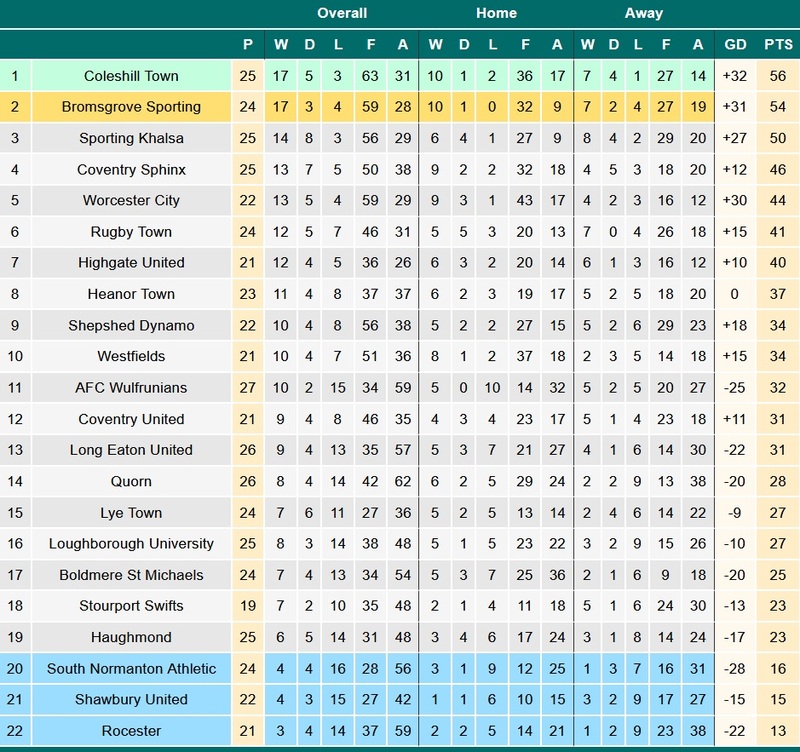 The club finished 17th and were then transferred back to Division 1 South & West for the 2013/14 season. However, this did nothing to improve the club's fortunes and they finished 19th to be relegated back to the Hellenic League. In their four seasons back at this level (including the current season), the club's highest finish came when they finished second in the 2015/16 season, but this season could see them equal or better that if they continue as they have progressed so far. In the FA Cup, the club's best run came in the 1996/97 season when they reached the 4th Qualifying Round, beating Brockenhurst, Bemerton Heath Harlequins, Gloucester City and Bashley before losing 5-0 away at Boreham Wood. 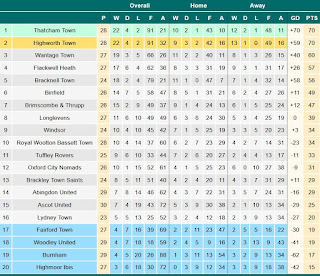 In the FA Trophy, the club progressed as far as the 2nd Qualifying Round on three occasions, most recently in the 2011/12 season when they beat North Leigh and Frome Town before losing to Weymouth in a replay. 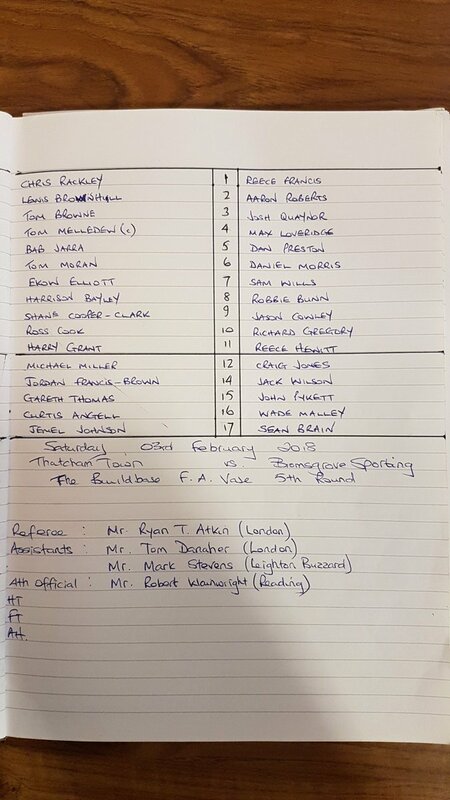 As for the FA Vase, the club's best run saw them reach the Quarter Finals in the 1988/89 season, but this result means the club will have at least matched that this season: so far this season, the club has beaten Horsham YMCA, Broadbridge Heath, Sevenoaks Town, Biggleswade and Bromsgrove Sporting on their way to the Quarter Finals. The original plan on this day had been for Matt and I to go to Windsor's FA Vase tie, as that is a ground we are both particularly keen on visiting. However, with him being bogged down by coursework, I knew I would be on my own on this occasion. Thankfully, the FA Vase draw was kind enough to have provided another tie that I could feasibly get to, so the decision to go to Thatcham ended up being an extremely easy one in the end. However, I did briefly consider visiting Dorking Wanderers instead, so as to be able to tick off Westhumble before their move to Meadowbank at the end of the month. However, I thought this game would be far more interesting and, having not watched a single game in the Vase so far, I was determined to go to one (this decision turned out to be the right call, as Dorking's home game against Harrow Borough was postponed about an hour before kick-off). Thankfully, for what feels like the first time in ages, there was no real worry of the weather causing a postponement and, as such, I was able to get my train tickets ordered nice and early in the morning (rather than scrambling around late in the morning to get something sorted out). The train journey to Thatcham was similarly stress-free (other than Reading being an enormous train station), with just the one change at Reading before arriving in Thatcham shortly before 2pm. Unlike last week at Crowborough, it was nice to only have to walk a couple of minutes from the station to the ground and, because I arrived an hour before kick-off, it was very easy to get in as well (the crowd hadn't really started to build up to its final 701 at this point, luckily enough). With plenty of time before kick-off, I paid £6 for admission and £1.50 for a programme before doing a circuit of photos, before then buying some cheesy chips as I awaited kick-off. The Bromsgrove fans in the Atcost terrace before kick-off. To allow all the fans to get into the ground before kick-off, the game's start was delayed by 15 minutes and, in this time, a fight started among the Bromsgrove fans in the Atcost terrace behind the near goal, with it being impossible for me to tell how or why this started from my position. In any event, the many stewards at the ground stepped in to deal with it, eventually forcing the Bromsgrove fans out of the terrace by the time the game kicked off. 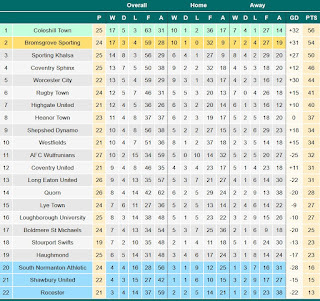 Going into the game, the respective league tables made for very interesting reading, with both sides firmly in the title race and the race for promotion in their respective leagues. As such, a close game should have been expected, but my expectation was that Bromsgrove would win, simply based on my (admittedly-skewed) perspective of the relative strength of the Hellenic and Midland Leagues. When the game eventually got underway, Thatcham started the brighter, creating a couple of early chances while Bromsgrove struggled to stabilise and impose themselves on the game. In these early stages of proceedings, there seemed to be a bit of tactical battle going on between the two sides, with both probing and testing each other to see if any weaknesses could be exploited and, as such, there wasn't too much goalmouth action in the first fifteen or so minutes. In fact, the only chance I would call clear-cut in this period came when, after around 10 minutes, Bromsgrove forward Jason Cowley somehow ended up one-on-one with Thatcham goalkeeper Chris Rackley, only to then slip over at the crucial moment to allow the goalkeeper to collect the ball. Other than that, neither team seemed likely to score in these early stages, so the opening goal felt like it came out of the blue (although not at all against the general run of play): on 18 minutes, Thatcham's Ekow Elliott received the ball on the edge of the box and was given space to dribble in and shoot, his effort eluding Bromsgrove goalkeeper Reece Francis to make it 1-0 to the home side. Cue manic celebrations behind the goal from Thatcham's teenage following, including a couple of flares being set off (not something you see everyday at Step 5, to say the least), and cue absolute silence from the previously-loud Bromsgrove fans (they had been giving the game a good atmosphere up to - and also after - this point, but I'm sure they didn't expect to fall behind). This goal saw Thatcham start to dominate the game, with a few more chances following before, on 26 minutes, Ekow Elliott scored his second of the game, a cross into the box eluding the entire Bromsgrove defence and leaving him with a tap-in at the far post. While this should have seen Thatcham become comfortable and fully take control of the game, they almost gave Bromsgrove a goal mere moments later, Jason Cowley once again set through on goal and once again making a mistake to allow Rackley to collect the ball. 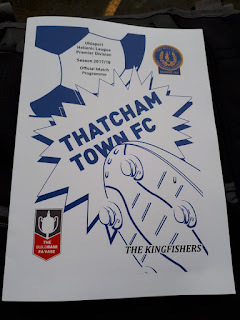 After this, Thatcham almost scored a third to almost certainly secure victory, with Harry Grant's audacious effort from about 25 yards out hitting the crossbar. With the game seemingly slipping out of their fingers already, Bromsgrove decided to make their first change after just 30 minutes, Sam Wills making way for John Pykett. This substitution seemed to turn the game on its head as, just three minutes later, Pykett rounded the keeper in the box and was brought down, earning Bromsgrove a penalty: Richard Gregory stepped up to take it and scored, his effort going straight down the middle. Unsurprisingly, with a way back into the game in sight, Bromsgrove finally started to truly assert themselves on the game and largely dominated the rest of the half, pressing high and fast, winning the second balls and just making life extremely difficult for Thatcham. However, it should have been Thatcham who scored the next goal when an Ekow Elliott effort was saved and, after being met on the rebound by Shane Cooper-Clark, crept over the line despite Francis's best efforts to stop it. However, the linesman made the baffling decision to flag Cooper-Clark offside, even though this very clearly wasn't the case. 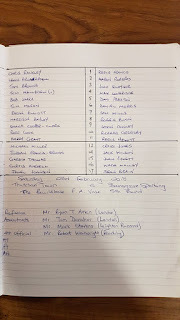 Either way, Thatcham were able to weather the Bromsgrove storm and kept the score at 2-1 going into half-time. When the second half started, I was expecting to see a similar amount of energy and effort from Bromsgrove as they had started to show at the end of the first half (and not just because of the bollocking they undoubtedly got from their manager for the first half performance), but this wasn't quite how it played out. Instead, what started to emerge was a very even game - much like how it started, in fact - with both teams once again probing and testing. Generally speaking, Bromsgrove's attacks understandably displayed more urgency than Thatcham's, but frequently lacked much in the way of an end product, while Thatcham's attacks were slower but generally more effective. However, both sides had several near misses and excellent chances to score, with Bromsgrove's most notable efforts coming about halfway into the half when a free header went inches wide and when an unopposed shot from similar distance went in a similar fashion. As for Thatcham, they perhaps started a little more slowly than Bromsgrove in the second half, but they were still creating chances through the joint efforts of Shane Cooper-Clark, Ekow Elliott, Ross Cook and, when he came on for the last 20 minutes, Jemel Johnson: several times one of these players ended up breaking through Bromsgrove's resilient defensive line, but ended up hesitating and taking too long to shoot, causing the chance to be wasted. Such was the frequency that this was happening in the last 15 minutes that several of the Thatcham fans I was standing with started to panic, thinking that the game was going to slip away from them because of the sheer amount of excellent chances they were failing to take advantage of (it didn't exactly help that Bromsgrove were, on the few occasions they broke through the Thatcham defensive line, creating excellent chances of their own). 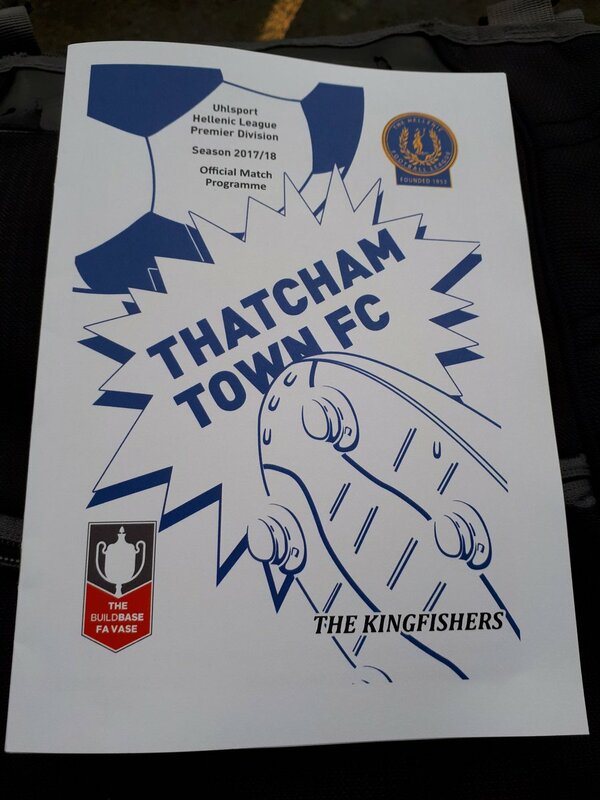 With this in mind, Thatcham started to change approach, instead opting to focus on managing the game and ensuring the score remained unchanged: after all, there was no real need to pursue more goals in the last 10 minutes when that meant risking an equaliser. In the end, this tactic worked and Thatcham kept their cool to stifle Bromsgrove and claim victory. The blowing of the final whistle cued more manic celebrations from Thatcham's fans (including a flare being let off by the teenagers standing in the Atcost terrace), but on the pitch Bromsgrove tempers flared over (seemingly started from Reece Hewitt, as far as I could see at least) and, as a result, a mass brawl started between both teams. This wasn't resolved quite as easily as the kerfuffle between the fans before kick-off, but when it was the celebrations could finally start, and the Thatcham players went to celebrate with the fans behind the goal as they move into the Quarter Finals, and another step closer to an appearance at Wembley. Overall, while the second half lacked some of the excitement and drama of the first half, this was an excellent game and tactical battle between two very strong sides and, on the day, Bromsgrove can have no complaints with the result as Thatcham were by far the better team. I've seen probably close to 100 games at this level in my few seasons following non-league and groundhopping, and I have to honestly say that I don't think I've ever seen a team performance as good as the one Thatcham put in today: every one of their players put in excellent performances from start to finish, barely making any mistakes at all (other than somehow allowing three one-on-ones in the first half, and conceding a penalty with one of those). The scenes after Thatcham took the lead. A (terrible) photo of Thatcham's post-match celebrations. Overall, despite a few unsavoury scenes before kick-off and after the final whistle, this was an enjoyable day-out and an enjoyable cup tie, with an excellent atmosphere created by both sets of fans throughout. I also found the club to be pleasant and friendly, and I'll be sure to keep an eye on what tomorrow's FA Vase draw gives them (as well as seeing if Windsor end up at home to try and go there again!). Waterside Park is a pretty good ground for Step 5, as you would expect from a club who spent several years at Step 4 relatively recently. The main feature of note is the impressive main stand on the near side, with seating for around 200-250 people (the vast majority of which was needed today), with the only other area of cover being the aforementioned Atcost terrace behind the near goal: typically, these are only supposed to safely hold 50 or so people, but I'm convinced there were more people in there when the Bromsgrove fans were using it before kick-off, and when Thatcham's teenage following used it in the second half. The rest of the ground is open hard standing, with efforts ongoing on the dugout side to move this significantly closer to the pitch (this has only been done halfway along so far, but is bound to be all the way along by the end of the season). Whether this is to make room for more football furniture or not, I can't say for sure, but what I can say is that even with this, you are still reasonably far away from the pitch wherever you stand, with the perimeter fence being around 2 metres or so away from the pitch for some reason. The ground's overall capacity is 1,500, with the record attendance being 1,400 for an FA Vase tie against Aldershot Town in the 1992/93 season. Also, despite the perimeter fence being reasonably far away from the pitch, there is still ample room to improve the ground as proves necessary.